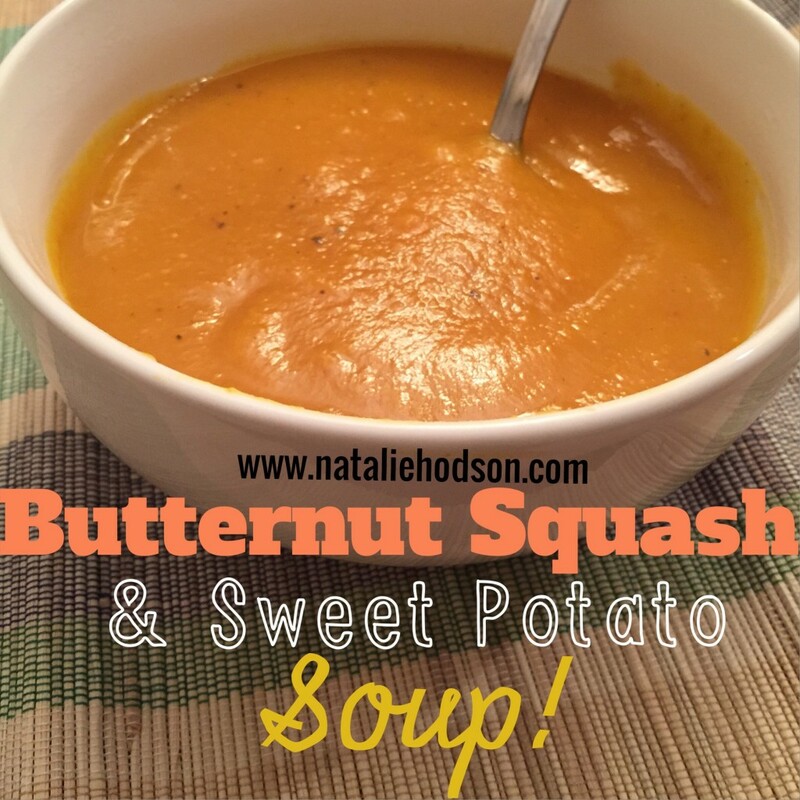 Butternut Squash & Sweet Potato Soup! This butternut squash & sweet potato soup recipe is perfect for this cooler weather and is a fun way to switch up your healthy carb sources. In a large pot, sautée the onion and oil until onion is translucent. Add chicken broth, sweet potato, squash, salt and pepper and bring to boil. Boil for 15 minutes until tender. Then you need to add the apple and purée everything. I did this by filling up my blender half way full (I used a 1 cup measuring cup to scoop everything from the pot to the blender) and blend without the center part of the lid on (so the heat can escape), and repeating 3-4 times until all pieces were blended really well. Put everything back in pot and add honey, nutmeg, cinnamon, and clove. Allow to simmer on low heat until you have the consistency you like. This makes a TON of soup! We will have leftovers all week and it turned out so much better than I was expecting. I wish everyone seeing this could have a little taste right now. So delicious!